With approximately 70 years of experience, Fluke is a world leader in the manufacture, distribution and service of electronic testing and measurement equipment. The brand is a multinational subsidiary of Fortive Corporation (NYSE: FTV), headquartered in the USA, with worldwide production, redistribution and support centres. Fluke is a brand that is designed to provide testing and measurement solutions for industry, production and installation environments. For this reason, the brand is easily found in industrial electronics installation environments, maintenance and service activities, as well as precision measurement and quality control tasks. This brand is an excellent reference in the industrial automation sector and has reached top positions in all the markets where it operates. Fluke provides a set of precision calibration instruments and software for electrical, temperature, pressure, flow and radiofrequency measurements. These products can be found in calibration facilities all over the world and are intended for quality engineers, R&D, calibration technicians and metrologists. 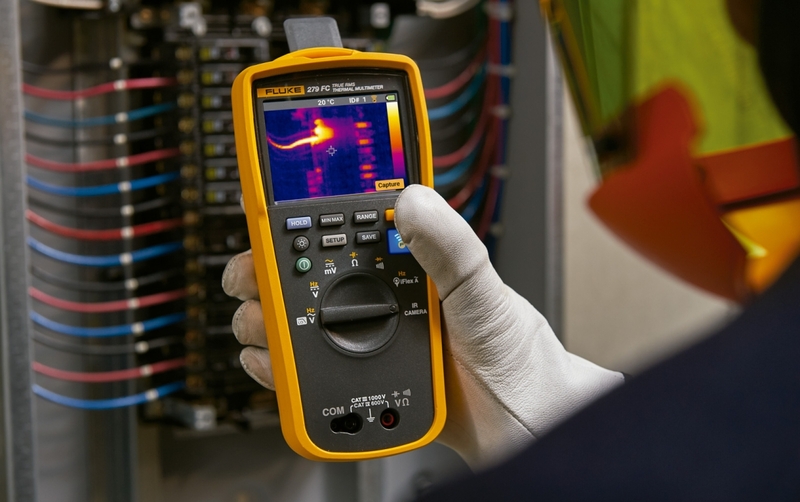 Fluke thermal cameras are rugged, reliable and accurate products designed for industrial and building diagnostic applications. Performance Series- characterised by quality and affordability, not neglecting the rugged design and ease of use. Professional Series - characterised by greater detail, speed and accuracy of captured images. Specialist Series – – characterised by the capture of highly detailed images thanks to the larger LCD displays and the articulation of the lenses, which allow the navigation of objects in different perspectives. 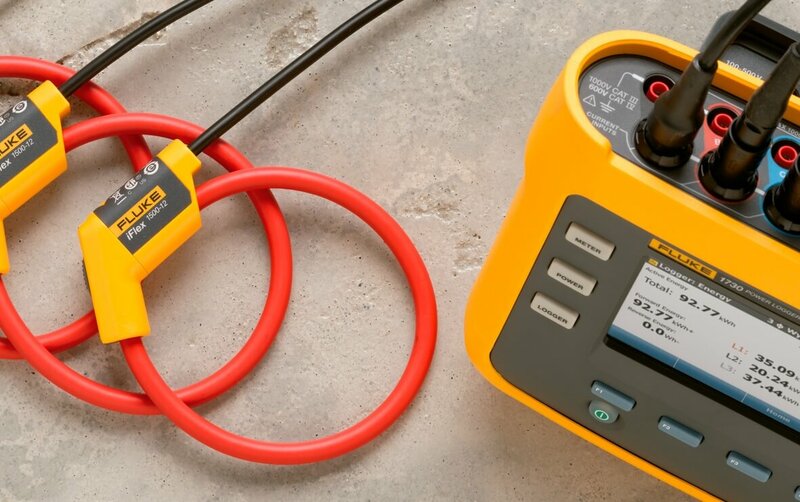 Fluke's installation certification testers are products designed for the safety and active protection of people, electrical systems and buildings, protecting them from electrocution, fire and other damages. This equipment can be used to carry out insulation-continuity tests, check RCD devices, assess electrical circuits and measure the resistance of ground systems. OTesting and insulation equipment is used as solutions for the detection and resolution of malfunctions, as well as preventive maintenance. They are solutions with advanced performance, safe and simple to use, whether working with motors, generators, cables or with switches. HVAC/IAQ tools are designed to assess air quality and to ensure that temperature, humidity and ventilation are maintained within acceptable levels for occupant health and comfort, as well as assist in building health regulation and energy cost management. 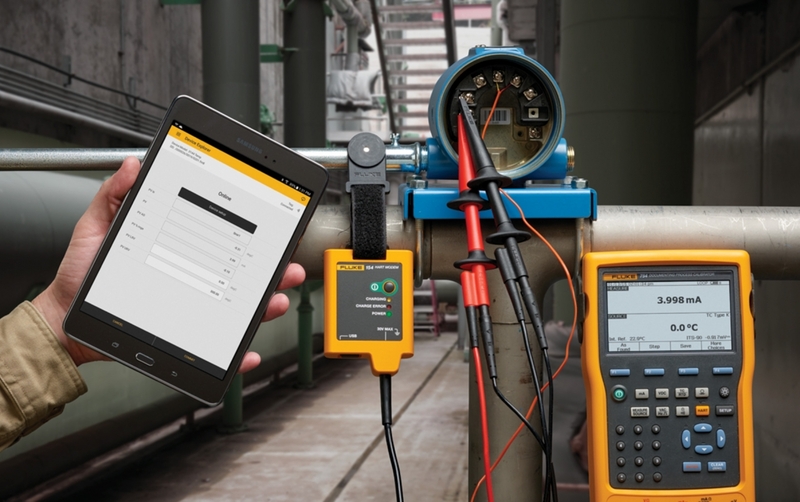 Fluke has a wide range of power quality measurement tools designed to predict malfunctions and ensure preventive maintenance of systems (by recording and analysing industrial applications and public utilities), avoiding production losses, elevated energy costs and equipment damage. Fluke digital multimeters are measurement and anomaly detection equipment, distinguished from all others due to their precision, performance, consistency and reliability. This equipment is characterised by its rugged design and resistance to falls, shocks and humidity. Portable oscilloscopes are used in electrical, electromechanical, electronic and industrial control systems. This equipment is capable of ensuring a qualitative visualisation of the signal’s integrity, guaranteeing a detailed analysis and carrying out the diagnosis and resolution of problems. Fluke clamp meters are products that enable reliable, noise-free readings with advanced performance and are designed to be simple to use. Fluke's range of clamp meters is very vast and includes a variety of products, for various business purposes and objectives. Discoverhere the entire range of these products. Fluke's range of thermometers is important in the detection and prevention of faults by providing equipment such as: infrared thermometers, infrared thermometers with visual and radiometric images, contact thermometers and thermometers for the food and beverage industry. Fluke also offers temperature measurement kits for the detection of problems in various industrial processes. The full range of Fluke thermometers is available here. Fluke offers a wide range of earth ground testing tools for all applications, as well as a selection of probes, accessories and applications. All the brand’s earth ground testers are available here. Vibration and alignment instruments are important troubleshooting solutions and indicate the need for cause assessment or immediate maintenance. They are especially effective in situations of normal machine wear and shaft misalignment.